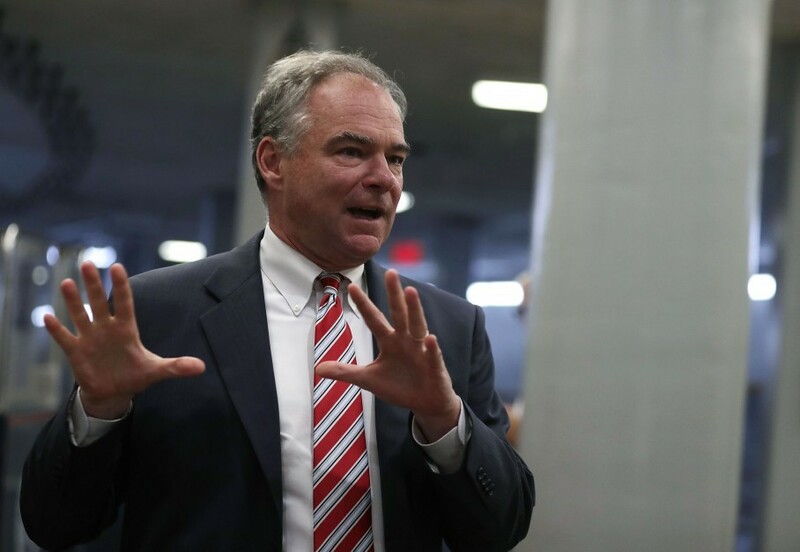 THE BIG IDEA: Tim Kaine will get his V.P. tryout with Hillary Clinton at a community college in Annandale this afternoon. Conventional wisdom holds that the Virginia senator is a, if not the, favorite to be her running-mate. But there’s increasing chatter among some tip-top Democrats that another white guy – Agriculture Secretary Tom Vilsack – could be emerging as a real contender late in the process. He’s a sleeper, but he has several qualities that make him appealing to the Clintons. Vilsack declined to answer questions about whether he’s being vetted during an interview on MSNBC last night, referring questions to the campaign. That’s a surefire indicator that he’s being considered. -- He’s not a lightning rod. 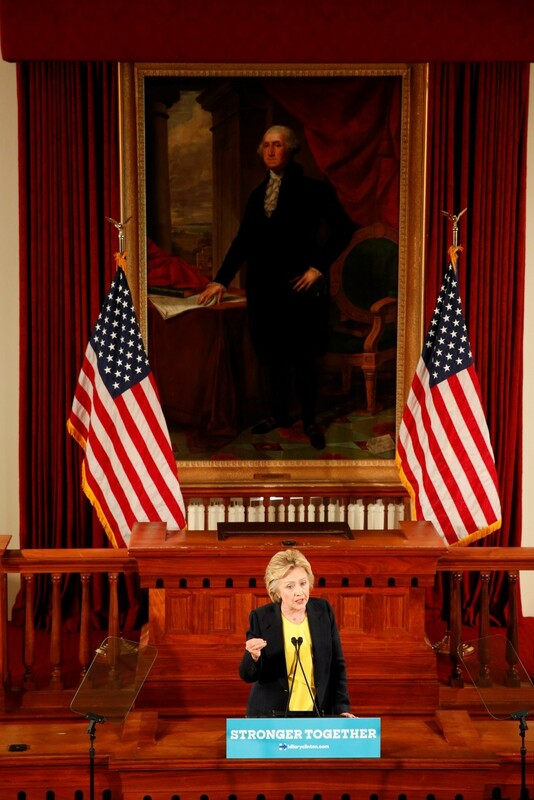 Clinton wants the election to become, as much as possible, a referendum on Donald Trump. That benefits the relatively unobjectionable, “safe” figures on her list. Vilsack was Iowa’s governor from 1999 to 2007. When Barack Obama appointed him Agriculture Secretary, he was confirmed by unanimous consent. He’s the only cabinet secretary who has served during the president’s full tenure. He’s a low-risk choice. -- He could potentially deliver Iowa. If you had to rank the states Obama won in 2012 that Trump could realistically pick off, Iowa would be relatively high. It’s one of several reasons that The Donald was intrigued by Sen. Joni Ernst – besides the fact she is a woman and a veteran – before she took herself out of contention. A poll of Iowa released yesterday by the Wall Street Journal, NBC and Marist University shows Clinton leading Trump by just 3 points (42 percent to 39 percent), which is within the margin of error. Their previous poll of the state had her up 8 points in a head-to-head match-up. Vilsack remains popular back in the Hawkeye State, and he deserves some credit for her very narrow win over Bernie Sanders in the caucuses. Republican Sen. Chuck Grassley told the Waterloo Courier last month that Vilsack would be a good pick for Clinton, giving him high marks as head of the USDA and noting that tapping him would signal how seriously the Democrats want Iowa. “He’s clean … ethically very clean,” Grassley said. In January, Obama tapped Vilsack to lead an interagency effort focused on addressing rural America’s struggle with heroin and opioid abuse. He has been aggressively traveling the country this summer to talk about the government’s strategy. -- He doesn’t potentially jeopardize the balance of power in the Senate. Unlike Elizabeth Warren or Sherrod Brown. -- He’s a bridge to Obama. 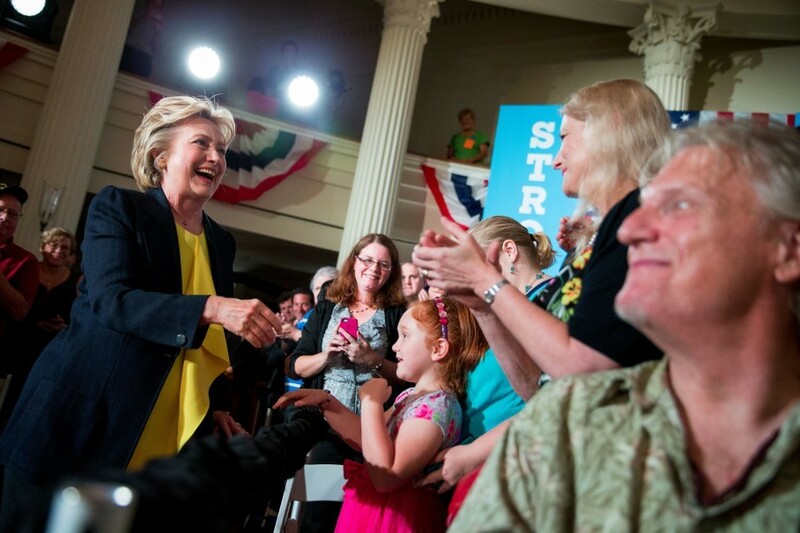 With the president’s approval rating rising, Clinton is essentially running to serve Obama’s third term. Vilsack’s work in the administration could help her make that case as she tries to galvanize the Obama coalition. -- He’s not offensive to the Elizabeth Warren wing of the Democratic Party. He does not have ties to Wall Street. While he was once chairman of the Democratic Governors Association, he’s not a feisty attack dog – traditionally the role that the vice president plays. Farmers know the 65-year-old. Hispanic and African Americans, millenials and single women – constituencies with which Clinton needs to run up the score – by and large do not. 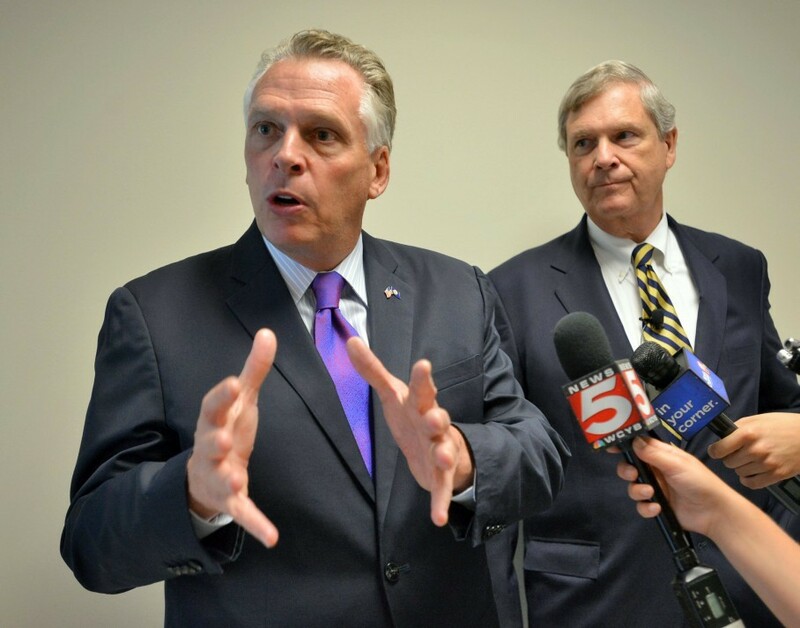 Vilsack also does not speak Spanish, a la Kaine. That said, he has worked to develop relationships with communities of color. Just yesterday, the League of United Latin American Citizens (LULAC) gave him its “Agency of the Year” award during its conference in Washington. 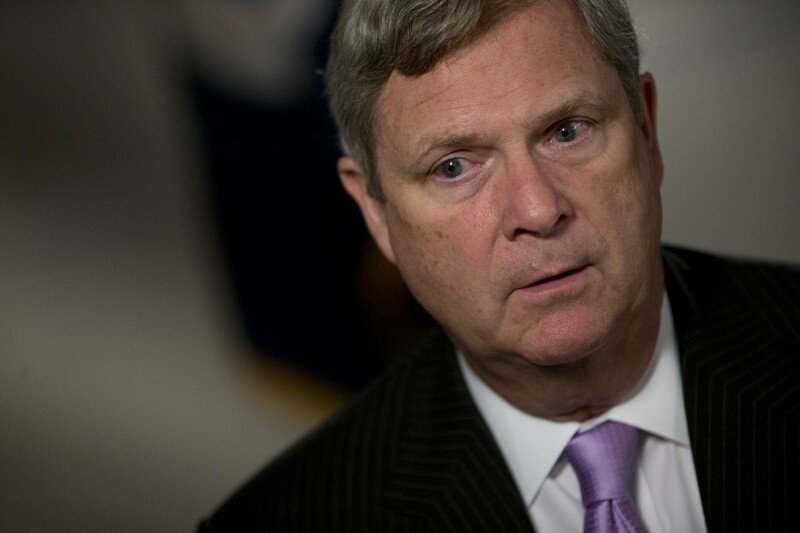 “Vilsack told the group that he was adopted and so doesn't know his heritage. ‘When I see a group like this I say well, maybe I am Latino,’ Vilsack joked,” according to an account from NBC Latino. “At the event, he announced $26 million for housing for farmworkers, telling the crowd the worse poverty he had seen was when he went to live with farmworkers in McAllen, Texas.” Clinton addresses the same group today. -- Clinton has the luxury of not needing to make her decision until after she knows who Trump has chosen. She will be able to think about how her potential picks will match up against Mike Pence, Chris Christie or Newt Gingrich when they debate at Longwood University on Oct. 4. Two months before the 2-year-old was killed by an alligator at Disney’s Grand Floridian resort, firefighters at Walt Disney World were warned to stop feeding the reptiles. The firefighters, who were admonished in emails obtained by the Orlando Sun-Sentinel, were less than a half-mile from where Lane Graves tragically drowned. Another time, Scott said, he was entering one of the Senate’s offices wearing the pin that identified him as a member of Congress. An officer stopped him, demanding his identification. “I was thinking to myself: Either he thinks I’m committing a crime, impersonating a member of Congress, or what?” Scott said. “While I thank God I have not endured bodily harm, I have, however, felt the pressure applied by the scales of justice when they are slanted. I have felt the anger, the frustration, the sadness and the humiliation that comes with the feeling that you are being targeted for being nothing more than yourself.” Watch a 2.5-minute clip from the senator's speech here. David Weigel notes that Scott, whose political career began 21 years ago on Charleston’s City Council, joined Congress in 2010 by defeating one of the sons of former senator Strom Thurmond. “The good Lord has given me a soapbox, and I’m going to use this soapbox to talk about what needs to be spoken about,” the senator told his home town newspaper this week. -- Only 26 percent of Americans think race relations are getting better, according to a fresh New York Times/CBS News poll, an 11-point drop from 2015 and a 40-point drop since 2009. Seven in 10 Americans think race relations are getting worse. These are historically bad numbers. Three in four African Americans believe the police are more likely to use deadly force against a black person than a white person. Meanwhile, a majority of white Americans (56 percent) think race “doesn't make a difference” in the use of deadly force by police. 41 percent of Americans said they agree with the Black Lives Matter movement, while 25 percent said they disagree. Support is concentrated among African Americans (70 percent) while white Americans are more divided, with 37 percent supporting the movement and 31 percent opposing it. -- “Empty cells and hotels: Cleveland takes stock before the convention comes to town,” by Mary Jordan and Wesley Lowery: “The Cleveland jails are being emptied and its courts are staying open until 1 a.m. in case of mass arrests. Riot gear, handcuffs, body cameras — police equipment that cost tens of millions of dollars — are ready, and more than 70 law enforcement and government agencies are on alert. … The close proximity of thousands who love or loathe Trump is what law enforcement is most worried about. The fact that Ohio has an open-carry law, allowing people to walk into crowds carrying a rifle if they have a permit, compounds safety concerns. ‘I’m not telling people to bring guns, and I’m not telling people to leave their guns at home,’ said Tim Selaty, the Houston-based founder of Citizens for Trump. Selaty said he is encouraging people to livestream themselves during protests for their own security." -- The ACLU filed a lawsuit against Baton Rouge police, accusing officers of violating the constitutional rights of people protesting the death of Alton Sterling. The group accuses officials of “physically and verbally abusing demonstrators, threatening protesters with pepper spray and using ‘objectively excessive force’ during arrests,” Mark Berman reports. -- Trump and Clinton are tied in Ohio at 39 percent, down from a 6-point Clinton advantage in March, according to an NBC/Wall Street Journal/Marist poll. In Pennsylvania, Clinton tops Trump by 9 points, compared to a 15-point lead in April. There are large numbers of undecided voters. And, as noted in the big idea, she’s up 42-39 in Iowa, down from 8 points earlier. "The good news for [Clinton] is that she is still even or ahead of [Trump] in these three critical states in the aftermath of the FBI's report,” said Marist pollster Lee Miringoff. "The bad news for her is the contest has gotten closer in all of these states, and the issue does not seem to be going away anytime soon." -- Clinton has also ceded ground in Wisconsin: She now leads Trump 43-37 in a Marquette University Law School survey. In a head-to-head matchup, her lead shrinks to a 4-point margin, down from 9 points last month. -- Clinton gained on Trump in COLORADO, however. 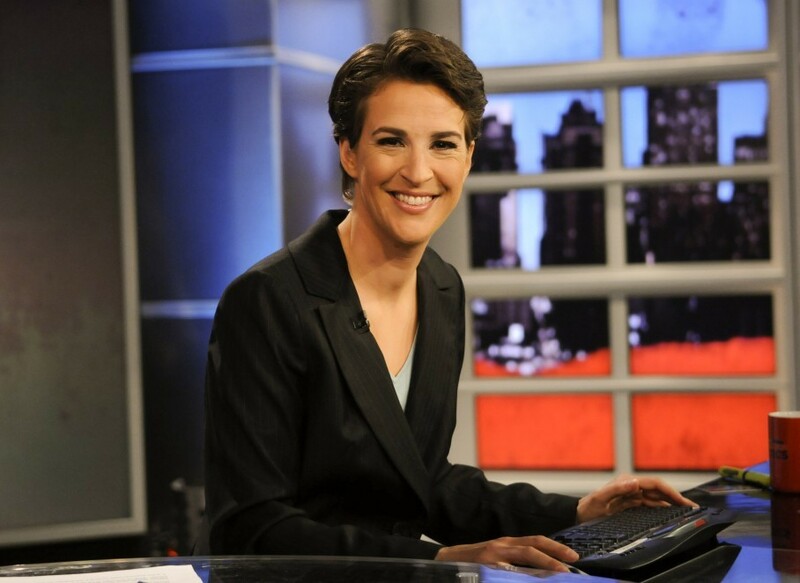 She leads by 10 points (44-34) in a Fox News poll of the state. She leads among whites with a college degree (47-30) and voters who are “extremely” interested in the election (50-43). She also enjoys stronger party base support, with 81 percent of Democrats backing her to 75 percent of Republicans backing Trump. -- Nearly four-fifths of white evangelical voters plan to vote for Trump: 78 percent of white evangelicals said they would vote for Trump if the election were held today, according to a new Pew Research Center poll, with 36 percent saying they “strongly” back his campaign. Support for Trump among evangelicals is even stronger right now than it was for Mitt Romney in 2012: At that time, nearly three-quarters of white evangelical voters said they planned to vote for the Mormon, with one-quarter saying they “strongly” supported him. Roman Catholics, meanwhile, favor Clinton by 17 points. She also enjoys an advantage among the religiously unaffiliated (68-26). But they are somewhat less enthusiastic about her candidacy than Obama’s: 26 percent of the religiously unaffiliated say they “strongly” support her, while 37 percent said the same of Obama in 2012. -- A tentative schedule of speakers in Cleveland, per the New York Times’ Jeremy Peters and two sources with “direct knowledge of the convention planning." Among the surprise names is Peter Thiel, who funded Hulk Hogan's litigation against Gawker. Night 1 will have a Benghazi focus, followed by border patrol agents and a man whose son was killed by an undocumented immigrant. Tom Cotton, Rudy Giuliani, Melania Trump and Joni Ernst are scheduled to speak. Night 2 will focus on the economy. Among the scheduled speakers are the president of the Ultimate Fighting Championship; Asa Hutchinson, the governor of Arkansas; Michael Mukasey, the former U.S. attorney general; Lt. Gen. Michael Flynn; Senator Mitch McConnell; Tiffany Trump; Donald Trump Jr. and Scott Walker. Night 3 will be headlined by the V.P. nominee. Speakers: Florida Attorney General Pam Bondi; Newt; Ted Cruz; Eric Trump. Night 4 will end with Trump accepting the nomination. Speakers include Tim Tebow; Representative Marsha Blackburn of Tennessee; Gov. Mary Fallin of Oklahoma; RNC chair Reince Priebus; Gov. Rick Scott of Florida; and Ivanka Trump. -- Without naming specific nights, the RNC just blasted out a longer list of speakers that included: Congressman Ryan Zinke, Michael McCaul, Chris Collins, Sean Duffy and Marsha Blackburn; Mike Huckabee; West Virginia Sen. Shelley Moore Capito; Ben Carson; Harold Hamm; and Jerry Falwell Jr.
-- Missing from the above list: Don King, Sarah Palin and Tom Brady, all of whom Trump has said he would like to speak. -- A poll conducted by the Global Strategy Group finds that a majority of consumers and the general public do not want companies to pay to sponsor the Republican convention. Financing Trump’s coronation could hurt a company’s reputation, the Democratic firm found in a survey shared first with The 202. From the firm: “Americans want companies to engage with political issues, and believe they have an impact when they do. Recently, a number of companies have made news by withdrawing their sponsorship of the RNC. In a recent survey, GSG found that three in five Americans approve of these companies’ decision. 44% of Americans would be less likely to “support or follow on social media” a company that supported the convention. 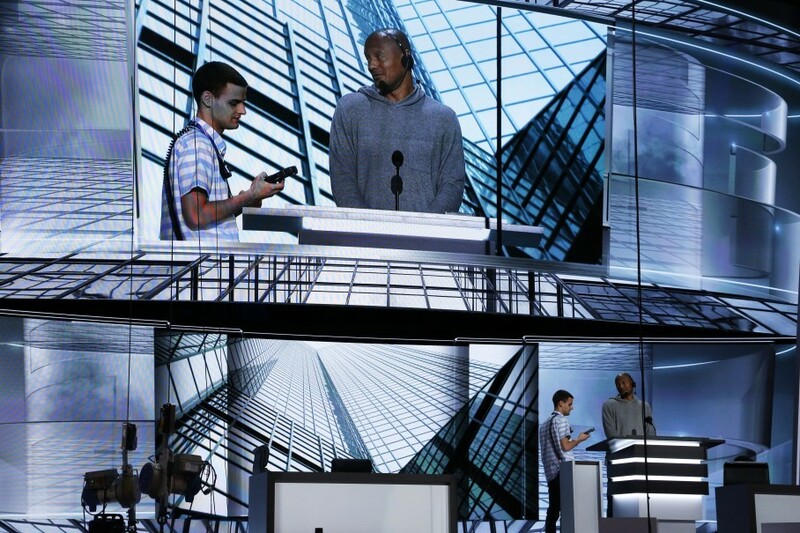 -- The Democratic National Convention is slated to have a star-filled opening night, featuring remarks from Elizabeth Warren, Michelle Obama and Bernie Sanders, Abby Phillip and Dan Balz report. “Although the speaking schedule isn't yet set in stone, the jam-packed Monday night is also expected to include Sen. Cory Booker (D-N.J.), and Rep. Joe Kennedy (D-Mass.) will introduce Warren. According to another source familiar with the convention planning, the night's theme will be an economic agenda focused on families." Quote du jour from Republican strategist Rick Wilson: “Republicans have always had a terrible star-power deficit ... but this year it’s going to be even more pronounced,” the outspoken Trump critic told Rucker. “It’ll be like a hostage video of people forced on stage. ... 'On Earth 2,' you’d be showing the Republican Party isn’t this stupid white boys’ club. But Donald Trump has rejected everybody who’s not in the stupid white boys’ club. At this point, we might as well have a giant cross burning out front." -- An especially large contingent of GOP senators is also staying home next week. The AP’s Erica Werner tried to make a list: “Sen. Steve Daines of Montana will be fly-fishing with his wife. Sen. Jeff Flake of Arizona said he has to mow his lawn (yes, he has one even in Arizona). Sen. Lisa Murkowski of Alaska will be traveling her state by bush plane. And Sen. John McCain of Arizona will be visiting the Grand Canyon, and joked that his friend Sen. Lindsey Graham of South Carolina would be coming along and might even fall in (just kidding, an aide later clarified).” Also not attending: Marco Rubio, Rand Paul and Wisconsin’s Ron Johnson. 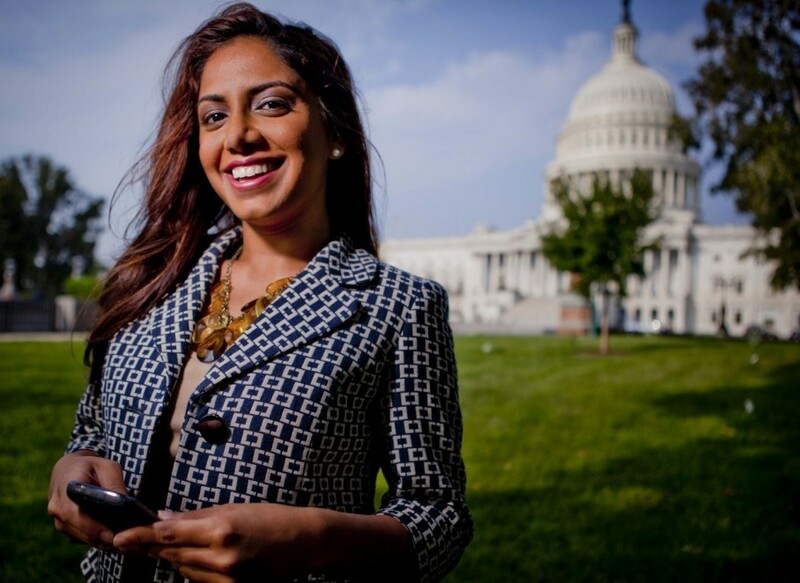 -- An important, if symbolic, victory for freedom of conscience: The RNC contests committee has reinstated Rina Shah Bharara as a D.C. delegate. She was stripped of her position by Trump hard-liners because she had called him a “racist, misogynist flip-flopper” earlier this year and said she might vote for Clinton instead. A majority of the D.C. delegation are supporters of the “Never Trump” movement, Aaron C. Davis reports. -- He met privately with the apparent finalists in Indianapolis yesterday. One by one, he had sit-downs with Indiana Gov. Mike Pence, former Speaker Newt Gingrich and Alabama Sen. Jeff Sessions. 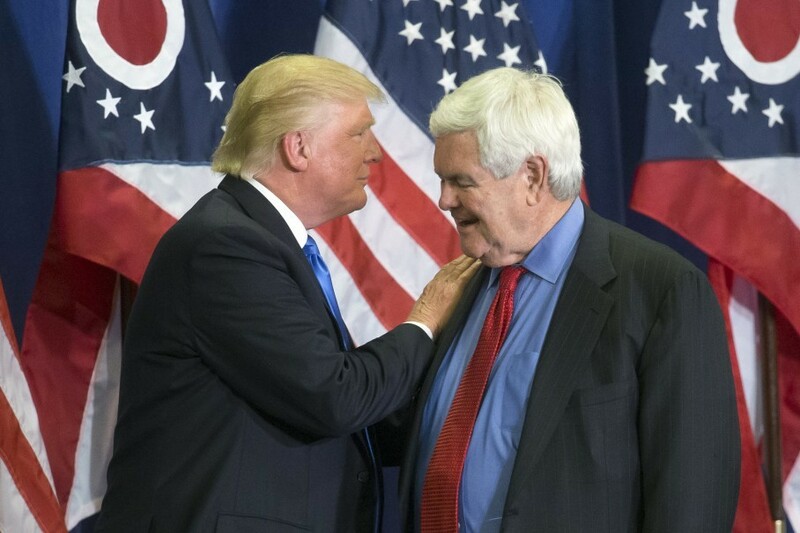 -- “Gingrich is a vice-presidential finalist, but his last campaign is still millions in debt,” by Matea Gold and Rosalind S. Helderman: His 2012 campaign committee owes more than $4 million to about 100 vendors. "The charges echo a long pattern of leveraging political stature for personal financial gain that has characterized the career of the 73-year-old speaker-turned-pundit. That reputation, combined with Gingrich’s lingering campaign debt, could make for an awkward fit on the ticket as Trump seeks to capitalize on voter anger at the political elite." “Like the Clintons, Gingrich has been active on the paid lecture circuit, earning as much as $60,000 per appearance, according to his speaker’s bureau posting. 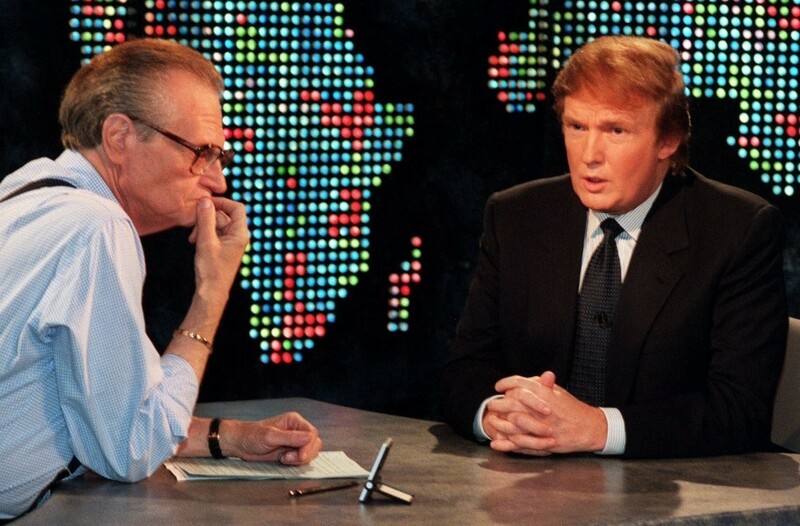 At one point, he was delivering 50 to 80 paid speeches a year." -- Some conservatives, led by former Ohio Secretary of State Ken Blackwell, are trying to muster up an 11th-hour Stop Christie movement. -- Inside Trump’s head: “I'm narrowing it down,” he told Bret Baier on Fox News last night. “I'm at three, potentially four. But in my own mind, I probably (at) two.” He didn’t specify who. Trump yesterday to WSJ: I want an attack dog VP. Trump today on Fox: I’m not looking for an attack dog. First, his penchant for secrecy. No serious campaign binds staffers with these sorts of onerous non-disclosure agreements. Trump has suggested he'd try to make his White House staff sign similar NDAs! Second, his vindictiveness. The Donald is actually having a relatively good moment; The veepstakes spectacle has been good for his campaign, and the fresh revelations from the FBI director about Clinton's carelessness have bolstered him in the polls. But the GOP nominee is taking the time to file a $10 million lawsuit against a former staffer? Part of the goal is obviously to scare other current and former staffers from talking to reporters or disparaging him. That says a lot about his temperament. 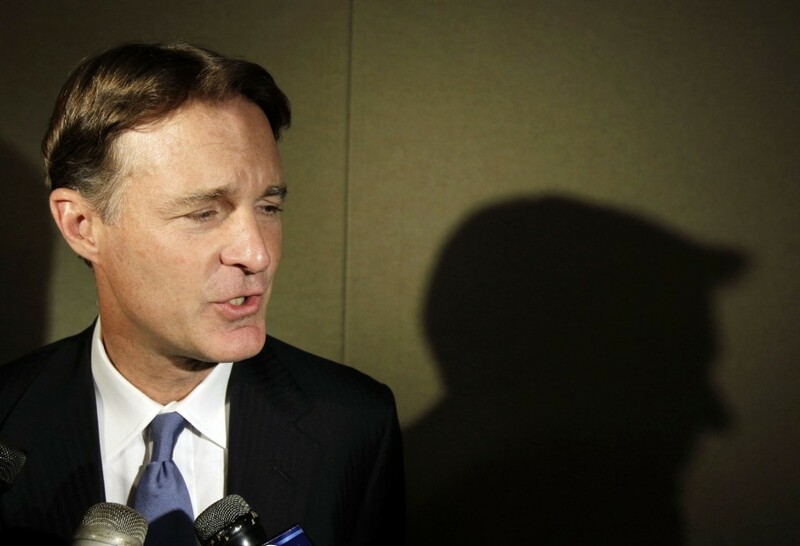 -- When a local TV affiliate asked Bayh if he will move back to Indiana, he replied: "I've never left." If this party nominates Donald Trump and Newt Gingrich next week, it deserves what's coming its way, and a whole lot worse. In honor of #LegallyBlonde15, here at the Judiciary Committee, we feel comfortable using legal jargon in everyday life! On the campaign trail: Clinton is in Washington, D.C. to speak at LULAC, goes to the Senate Democratic lunch and then Annandale for her rally with Tim Kaine. 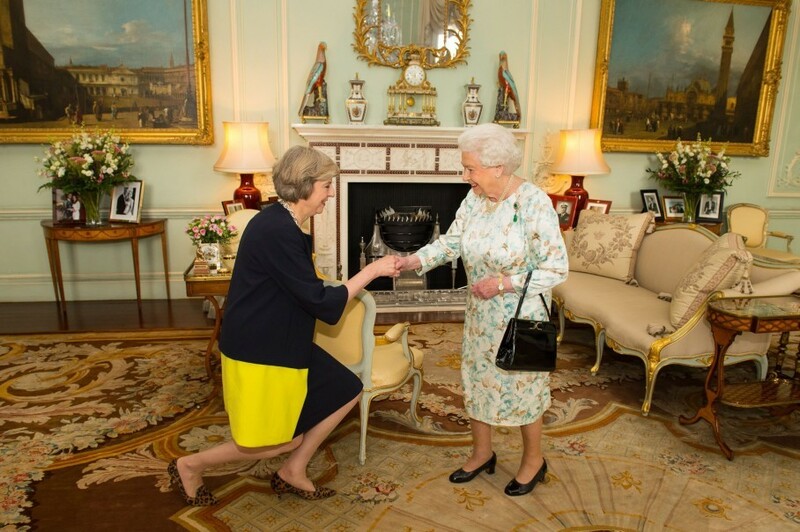 She's will focus on immigration. Trump is fundraising in the west. 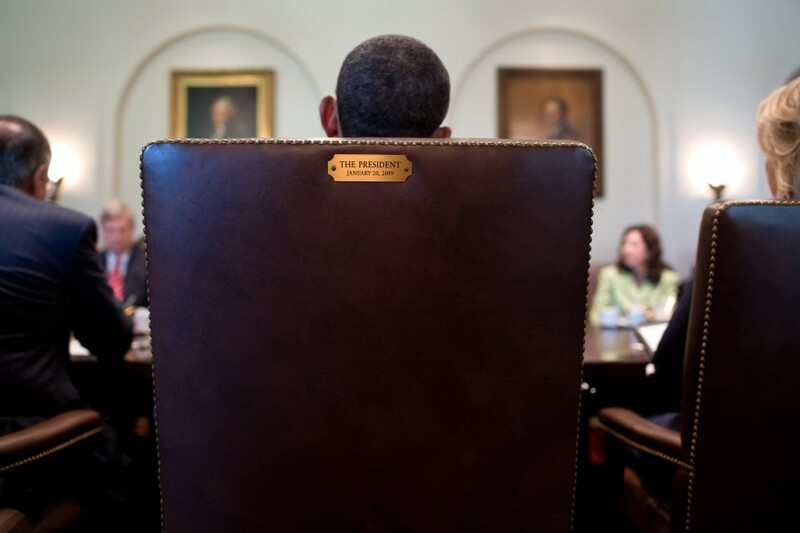 At the White House: Obama participates in a town hall hosted by ABC. Biden addresses the U.S.-Japan-Republic of Korea trilateral meeting, speaks to U.S. troops and tours the U.S.S. John C. Stennis. He remains overnight in Honolulu. On Capitol Hill: The Senate meets at 9:30 a.m., when Senate Majority Leader Mitch McConnell (R-Ky.) will make a compound motion to go to conference on S.2943, National Defense Authorization Act. It is also Bastille Day. -- Another day of “oppressive” humidity, per our friends from the Capital Weather Gang: Scattered clouds provide limited shape relief and humidity remains oppressive. This makes highs in the low-to-mid 90s feel more painful (heat indices in lower 100s). Thunderstorms are likely to hold off until late afternoon but could produce locally heavy downpours. Breezes are light from the west. -- Mic posted a video to its Facebook page with celebrities, including Alicia Keys, Rihanna, Kevin Hart and Beyoncé, speaking about “23 ways you could be killed if you are black in America.” Examples include: “failing to signal a lane change … riding in your girlfriend’s car with a child in the back … riding a commuter train … making eye contact … selling CDs outside a supermarket … wearing a hoodie.” Watch here. -- Some of our nation’s most preeminent historians have recorded short videos warning about the clear and present danger they believe Trump represents to the United States and the risk of complacency. Their testimonials have been posted on a new Facebook group called “Historians on Donald Trump.” Among the brand names participating: Robert Caro, David McCullough, Ron Chernow, Joseph Ellis, Michael Kazin, William Leuchtenburg, Evan Thomas, and Sean Wilentz. You can see what they all have to say here.